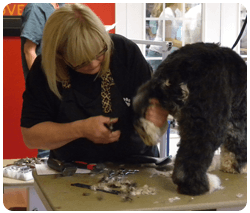 Just for Pets is your choice for grooming of dog breeds from Affenpinschers to Yorkshire Terriers. 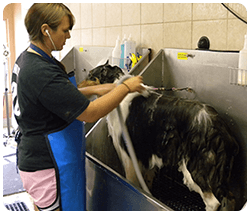 Our team of certified and experienced grooming professionals ensure your dog is at ease during the entire grooming process. 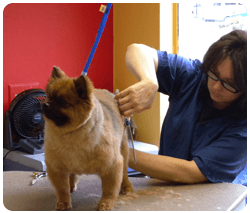 Dog grooming benefits our pets in numerous ways. 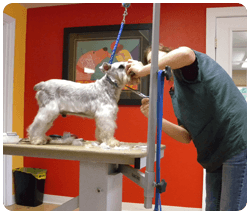 Regular grooming not only provides a benefit to the pet's health but also provides socialization benefits. 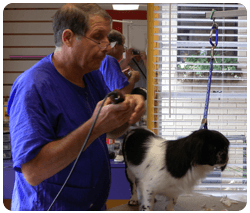 This socialization and exposure to the grooming process provides for a more relaxed and a more "at ease" pet in a family setting. 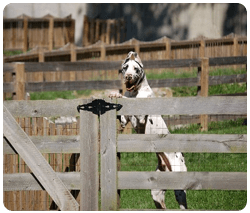 Before scheduling an appointment with Just for Pets be sure to verify that your pet's vaccinations are up to date. 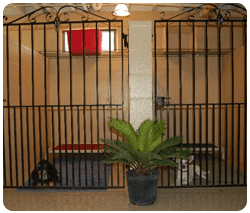 When you have made an appointment and you're ready to bring your pet to Just for Pets for grooming you can transport your pet in his/her own pet carrier (for added familarity) or Just for Pet's will provide a secure space for your pet while waiting for their grooming appointment. 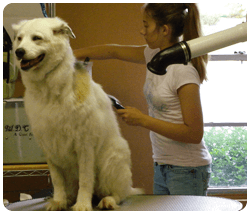 Be sure to inform Just for Pet's of any health conditions or sensitive areas on your pet's body so our Grooming professionals and assistants will take extra care with those areas. 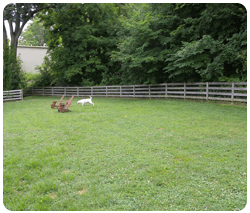 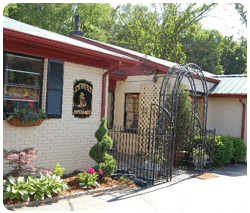 Contact Just for Pets today to schedule an appointment your pet for by calling us at Ph# 812-923-0400.